Paul C. Stoker, 70, of Kutztown, formerly of Wescosville, died surrounded by his loving family, Friday, January 11, 2019, at Kutztown Manor, where he was a patient since October. He was the husband of Ruth L. (Noss) Stoker. They were married May 13, 1989. Born in Allentown, he was a son of the late Raymond and Arlene (Hinkle) Stoker. Paul was the President and owner of Miracle Water Conditioning Company, Wescosville, a company started by his mother. He was involved in the business his entire adult life until his retirement. Paul enjoyed fishing and boating, traveling to the seashore and vacationing with his family. On one fishing trip he caught more than just a fish. Paul saved the life of a 6 year old boy who had ridden his bike too close to the wharf and fell in with bike on top of him. The boy could not swim. Paul jumped right in and saved him. He received an Outstanding Citizenship Award from the Neptune (NJ) Policemen's Benevolent Association for his heroic actions. In addition to his wife, Ruth of 29 years, daughters: Michele R. (Colbert), wife of Edward W. Wise, Jonestown, Lebanon County; Wendy L. (Colbert), wife of Gerald J. Fuoti, Blandon; and Donna L. (Colbert), wife of Michael W. Christman, Topton. Other survivors include three grandchildren: Ryan E. Wise, Hunter A. Fuoti, and Kylie M. Fuoti. There is also a Goddaughter, Miracle A. Stewart, Easton. 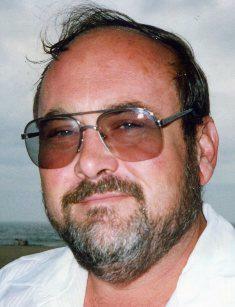 In addition to his parents, Paul was predeceased by two grandchildren, Stephanie M. Wise and D. Seth Fuoti. A memorial service to celebrate Paul's life will be held on Saturday, January 19, 2019, at 11:00 a.m. from Ludwick Funeral Homes, Inc., 333 Greenwich Street, Kutztown, with Reverend Thaddaeus T. Hughes, officiating. Relatives and friends are invited to a visitation prior to the service from 10:00 to 11:00 a.m. in the funeral home. Inurnment will be private at the convenience of the family. In lieu of flowers, the family requests contributions be made in Paul's memory to Lehigh Valley Hospice, 2166 S. 12th Street, Allentown, PA 18103.